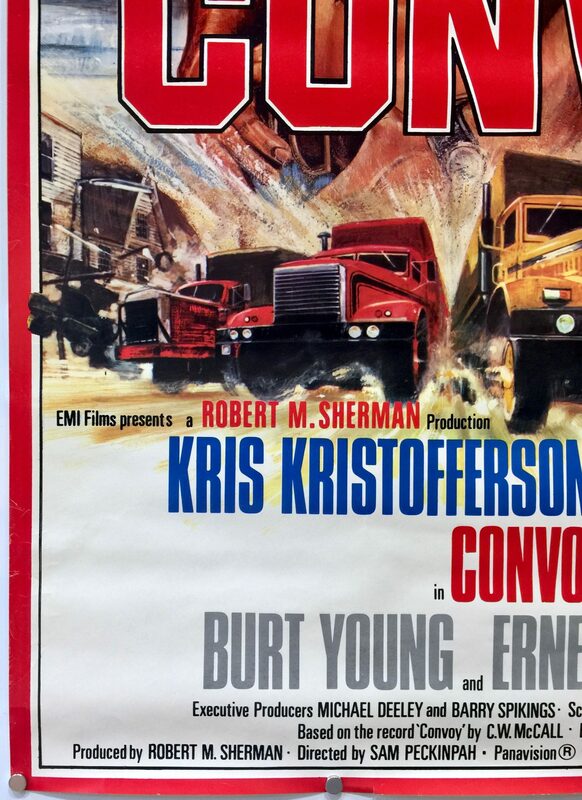 Convoy is a 1978 film directed by Sam Peckinpah. 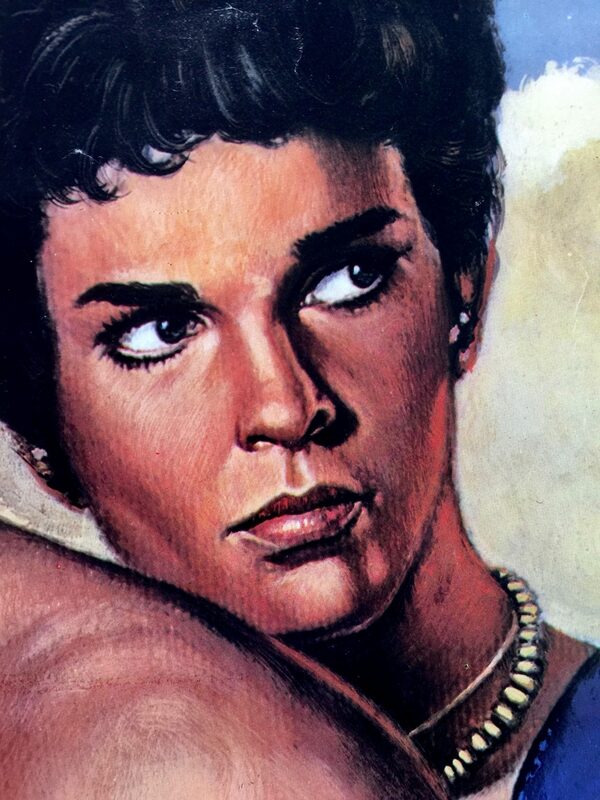 It produced by Robert M. Sherman with Bill Norton known as B. W. L. Norton writing the screenplay. 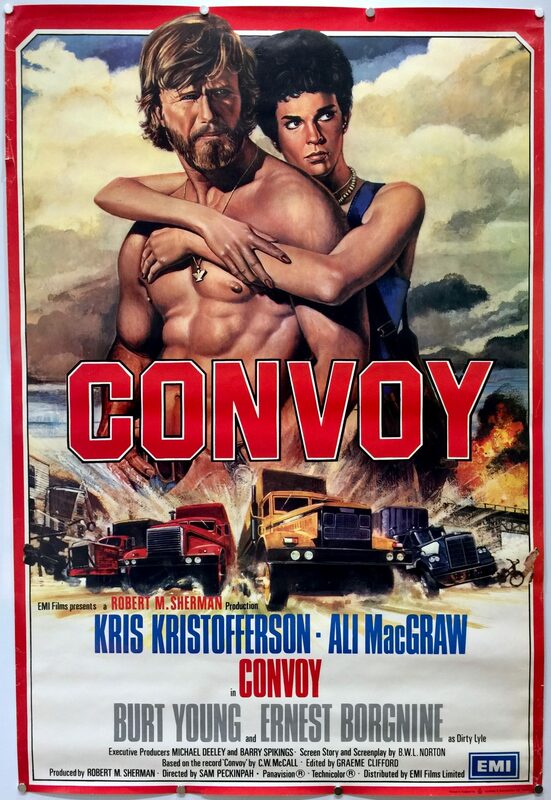 Convoy stars Kris Kristofferson, Ali MacGraw, Ernest Borgnine, Burt Young, Madge Sinclair, Franklyn Ajaye, Brian Davies, Seymour Cassel, Cassie Yates and Walter Kelley. 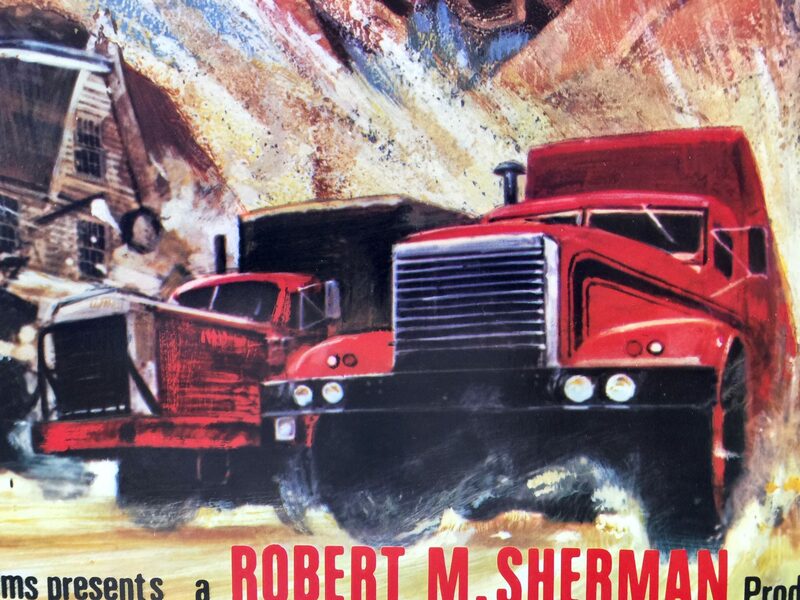 The storyline follows three truckers, Martin ‘Rubber Duck’ Penwald, Bobby ‘Pig Pen’ and Spider Mike as they set off across the country. Harassed by a local Sheriff, Lyle ‘Cottonmouth’ Wallace, who uses his powers to extort money and has a particular dislike for truckers. Rubber Duck has a long-standing feud with the Sheriff which boils over when the truckers refuse to give into his extortion attempts. This results in a cross-state, even interstate chase, and grows in magnitude as more and more trucks join the rebels, forming a convoy. 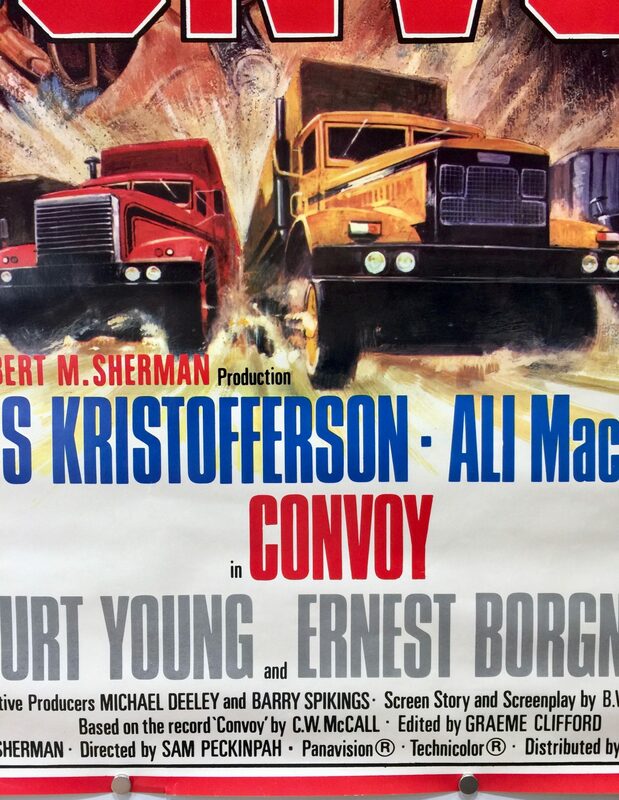 Convoy is based on a 1975 country and western song of the same name by C. W. McCall and Chip Davis. The film followed other similarly themed films like White Line Fever (1975), Smokey and the Bandit (1977), Handle with Care (1977), Breaker! Breaker! 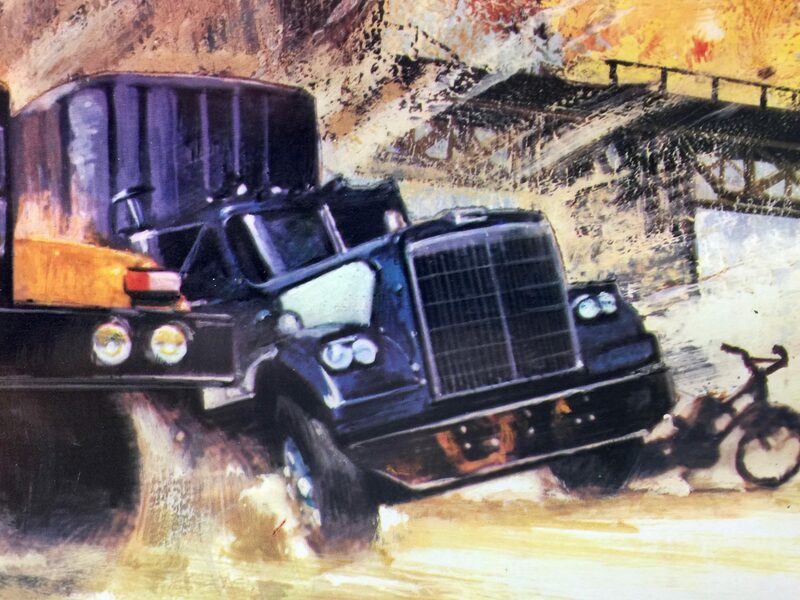 (1977) and High-Ballin’ (1978) and the television series Movin’ On (1974) when the CB radio and trucking craze was at its peak in the United States. 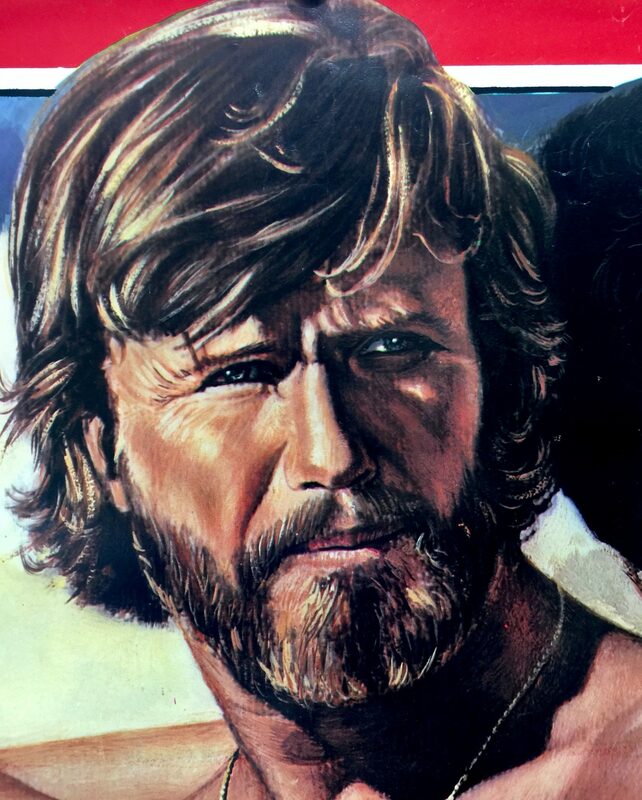 Filming for Convoy was most completed in New Mexico. 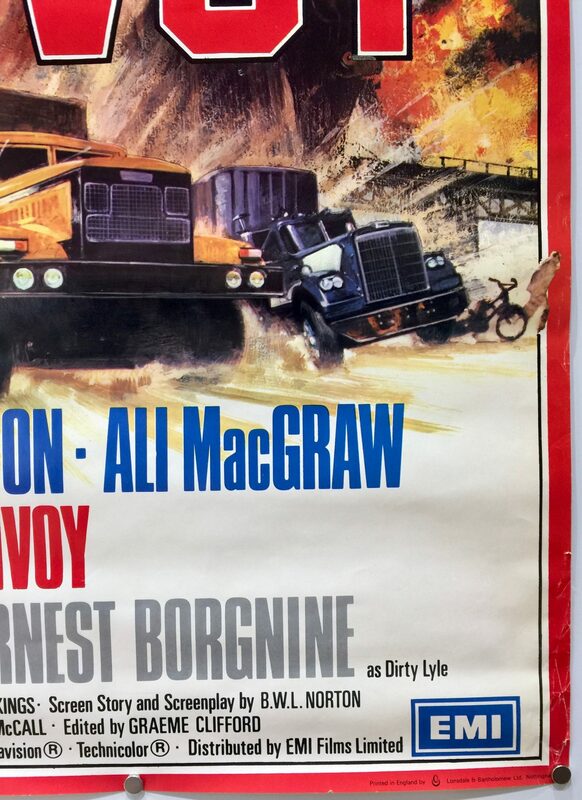 The scene involving the tanker truck going off the bridge and exploding was filmed in Needles, California with the bridge crossing the Colorado River between Arizona and Needles. After the scenes were filmed the bridge was removed and a new bridge erected connecting both sides of the river. 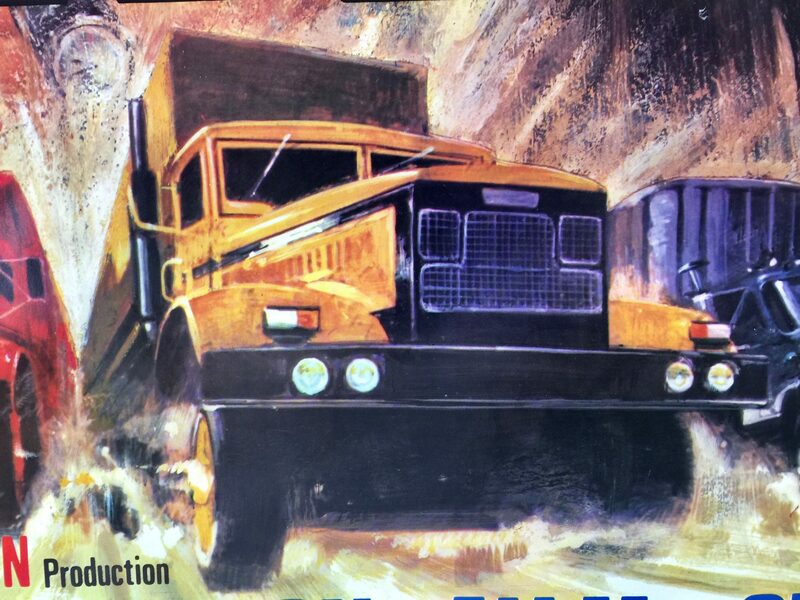 Rubber Duck’s truck was represented as a 1977 Mack RS712LST although several other Mack RS700L series trucks were used as a double and as stationary props. The original 1977 Mack truck, used as an on-road double and the only original remaining tank trailer is on display in the Museum of Transportation in St. Louis, Missouri. 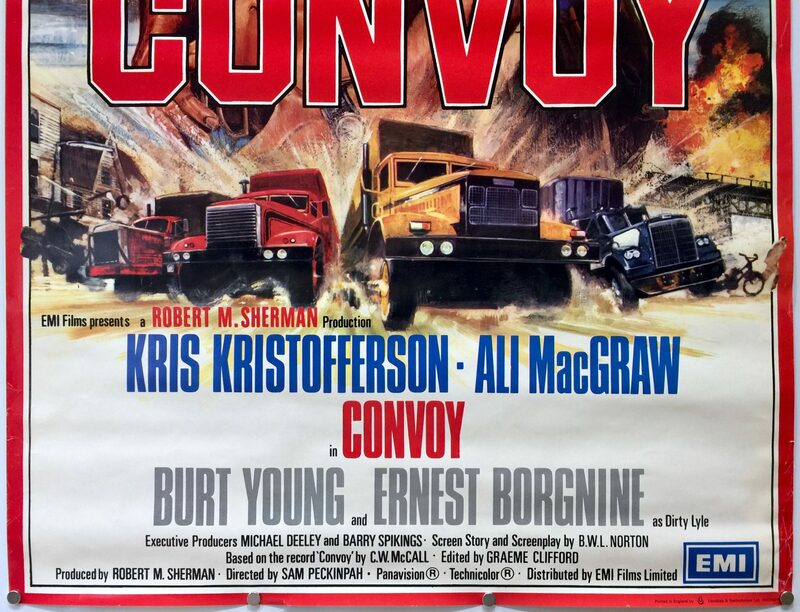 B. W. L. Norton released a paperback book of Convoy in 1978. It featured a more serious edge with less humour being given to the film’s story with some notable changes and additions. There is no mention of Spider Mike being African-American, a clear hatred between Rubber Duck and Wallace, a fight involving Rubber Duck and Wallace after Spider Mikes is broken out of jail, Widow Woman getting married (for the fifth time) and a background story given to Melissa. 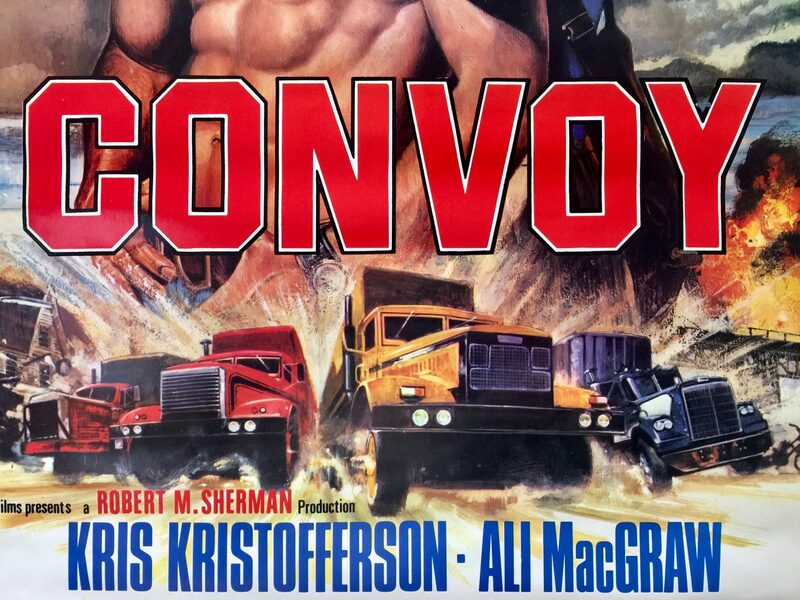 When Convoy was released it received mixed reviews from critics. It currently holds a rating of 42% on Rotten Tomatoes and a 6.3 rating on IMDb. 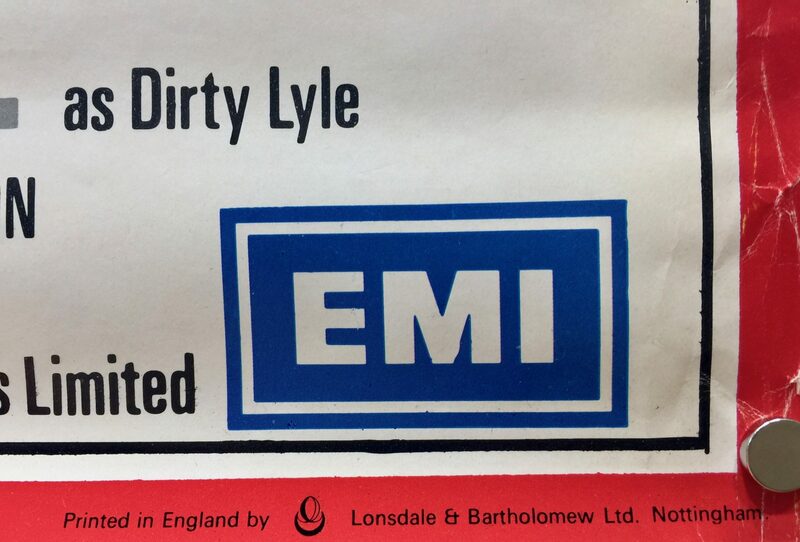 Commercially, it was a huge success. Although the original production budget of $6m more than doubled to $12m and finished production behind schedule it took $45m in gross box office receipts in the US. 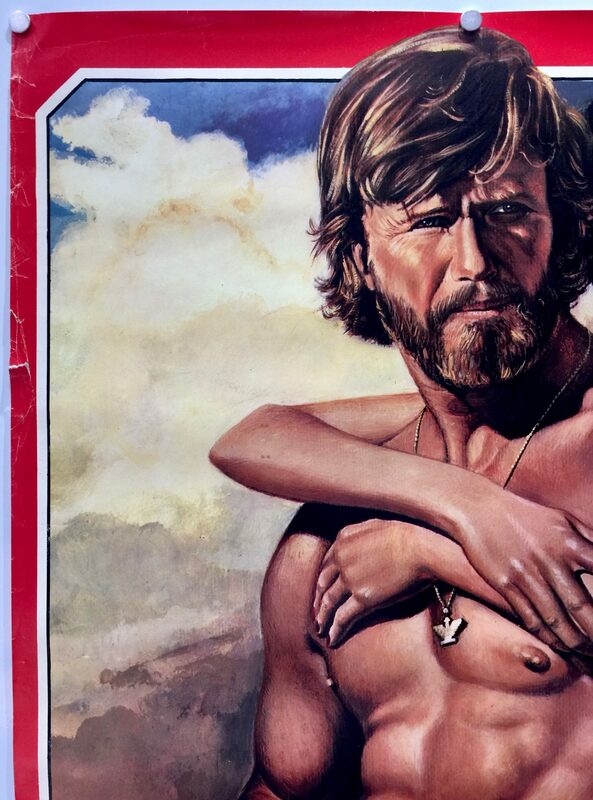 It proved to be the high point in Sam Peckinpah’s directorial career.